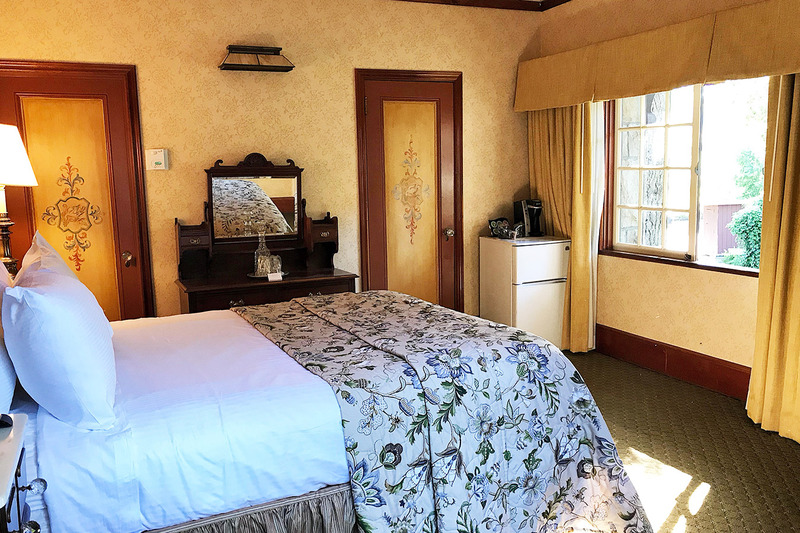 Our Terrace Petite room features a queen bed, flat screen TV, and a semi-private patio overlooking the garden and stone bridge. The room is located in our Terrace Building, and can accommodate pets with advanced notice and an additional fee. Standing shower only. Lovely property! Very much loved our Sunday brunch experience & our leisurely stroll through the beautiful grounds & Inn! Congrats on giving an excellent historical property experience!! God bless! !